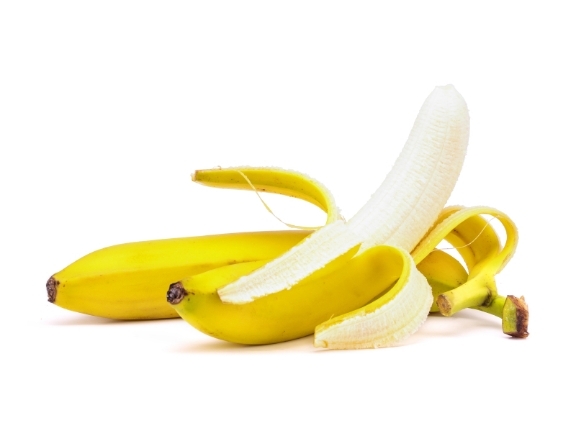 Home » Food and Nutrition » Are Bananas Good for You? Are bananas good for you? They are sweet and can almost taste like a dessert, but are bananas fattening, or can they be a part of a weight loss diet? Bananas are one of the most popular fruits, but when people are trying to lose weight, they often take a closer look at some of the typical foods they usually eat. Even healthy foods like certain fruits, vegetables, and grains can come under extra scrutiny when you are trying to lose weight. There are a lot of carbohydrates in bananas, which can make some dieters wonder if the fruit is really a good choice for weight loss. However, at the same time, bananas are usually considered a very healthy food. So, are bananas good for weight loss, or are bananas fattening and should be avoided when you are on a diet? Are bananas good for health, or are bananas fattening instead? 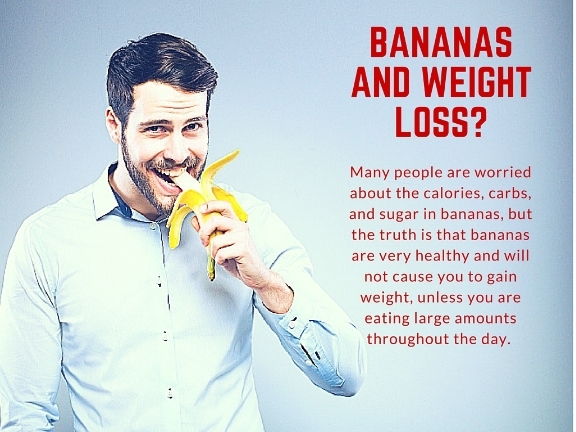 While fruits are a very healthy choice of food, some people who are trying to lose weight become worried about bananas due to some of the fruit’s food value. For instance, in one single banana, there are quite a high amount of calories, carbohydrates, and sugar. One banana contains roughly 105 calories, 27 grams of carbs, and 14.5 grams of sugar. If the banana is larger, then these numbers can increase too. However, for people worried about banana carbs or sugar, it is important to keep in mind that most fruits do contain some amount of sugar. There are many reasons why fruits are usually considered part of a healthy diet despite their sugar content. If banana carbs have you worried, you may want to also consider all the other nutritional benefits of bananas. Bananas are actually a great source of many vitamins, minerals, and other important nutrients that we need for good health. Bananas are a rich source of potassium, which is an important mineral for our cardiovascular health. Bananas also contain magnesium, copper, and manganese. When it comes to vitamins, bananas are also a rich source of vitamin B6, vitamin C, and biotin (vitamin B7). As well, bananas have no cholesterol, are low in fat, and contain fiber, which can help with digestion. Furthermore, despite their sugar content, bananas have a low glycemic index, which means they shouldn’t cause spikes in your blood sugar. What About Bananas and Your Weight? So, you know that bananas are nutritious, but what about bananas for weight loss? If you are on a diet, should you be skipping the bananas in order to lose pounds? In fact, bananas are a great food to eat for weight loss. Bananas do contain carbs; however, the carbs in bananas are “healthy carbs.” Junk food often contains processed sugar and refined carbs that are bad for our health, but bananas contain natural sugar and carbs that do not have the same negative health effects. In fact, our bodies and brains use carbs as fuel, making carbs an important building block for our health. If you are exercising or working out, it can be essential to eat carbs that give you the energy you need. A banana before a workout can help you to increase your energy and perform more intense exercise. One of the hardest parts of losing weight is controlling your hunger. When you are used to eating more, you can become hungry when you are on a diet. One of the most effective ways to combat hunger is by eating more fiber. Bananas are a rich source of fiber. By eating one or two bananas, you can help reduce your hunger and feel fuller. When you eat foods full of fiber, you are less likely to have hunger cravings or to continue eating unhealthy meals. Bananas also have pectin and resistant starch, which also make you feel more full. Combined with fiber, these will help you feel fuller faster and be less likely to have cravings for other foods. When you are losing weight, you need to focus on more than a food’s sugar content. What you really need to look for is food with a low glycemic index. Foods with a high glycemic index cause spikes in our blood sugar levels, which lead to energy crashes. People with obesity and diabetes are very susceptible to the effects of high glycemic foods. Luckily, bananas have a low glycemic index. This means that eating bananas will not contribute to spikes and crashes in your blood sugar level. Because of this, bananas are particularly good for people on diets. Bananas are very sweet, and sometimes we do need to eat sweet things. When people stick to boring, plain, and tasteless diets, they can be more likely to eventually give up or fail. We do have cravings for tasty food from time to time, and the occasional indulgence can help us stick to our diets. Since bananas are very healthy but also sweet, they can make a great dessert alternative. Dipping a banana in some chocolate sauce is a delicious dessert that is much healthier than ice cream, cake, or candy. So, put down the dessert and consider a sweet banana instead. So…Are Bananas Good for You? Even if you’re not interested in bananas for weight loss, there are many other health benefits to eating this fruit! Bananas are one of the best fruits for our digestive health. Bananas contain fiber, including pectin, which are incredibly important for regulating and normalizing our digestion. That means that bananas can be helpful for both diarrhea and constipation, helping bringing our digestive system back to a more normal state. One study also found that eating bananas led to higher levels of healthy bacteria in the digestive tract. Bananas are loaded with potassium, and one of the biggest health benefits of potassium is that it can increase our cardiovascular health and lower blood pressure. In studies, potassium has been found to lower blood pressure, reduce the risk of strokes, and have other important benefits for our heart. Eating bananas is one of the best ways to get potassium. If you find bananas boring, then you aren’t eating them right! 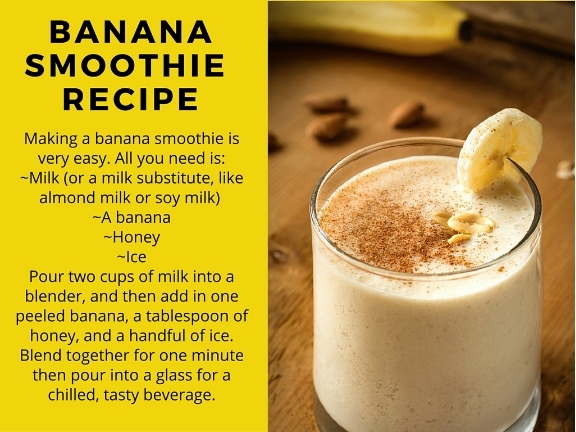 There are plenty of delicious banana recipes that you can use to create tasty treats! Even easier than the smoothie, a chocolate-dipped banana is a delicious dessert that is also healthy for you. Put some chocolate sauce in a bowl. Peel your banana and cover it completely in sauce. Once covered, put your banana in a container in the freezer. Eat once frozen for a tasty dessert that tastes nothing like fruit. Bananas are not just a great food for your weight, but for your overall health. They are a good source of many nutrients, have a low glycemic index, are not fattening, and are particularly good for our digestive health. Bananas can be a great part of a weight loss diet, as long as you aren’t eating too many per day. Another benefit of bananas is that they are healthy while also tasting sweet and delicious. So, if you’re trying to lose weight and you’re asking yourself, “Is a banana good for losing weight?” switch out your dessert for a tasty banana!